Points between Cooper Webb and second-place Eli Tomac. Wins this season for Tomac. Webb has the most in the premier class with six. 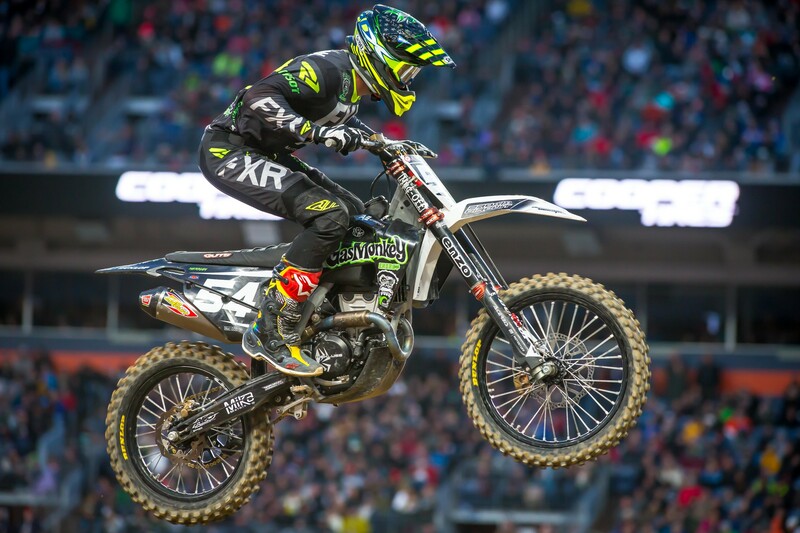 All-time supercross wins in the premier class for Tomac. 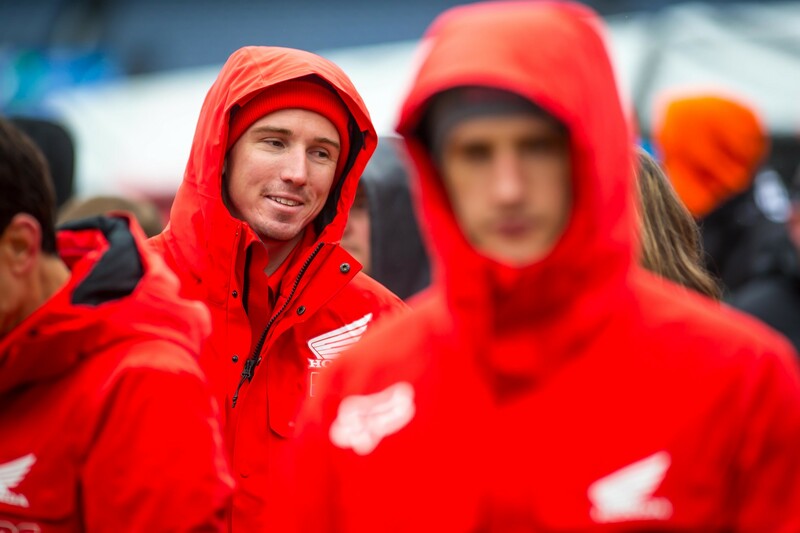 His 26 wins are ninth most in supercross history, one behind Bob Hannah. 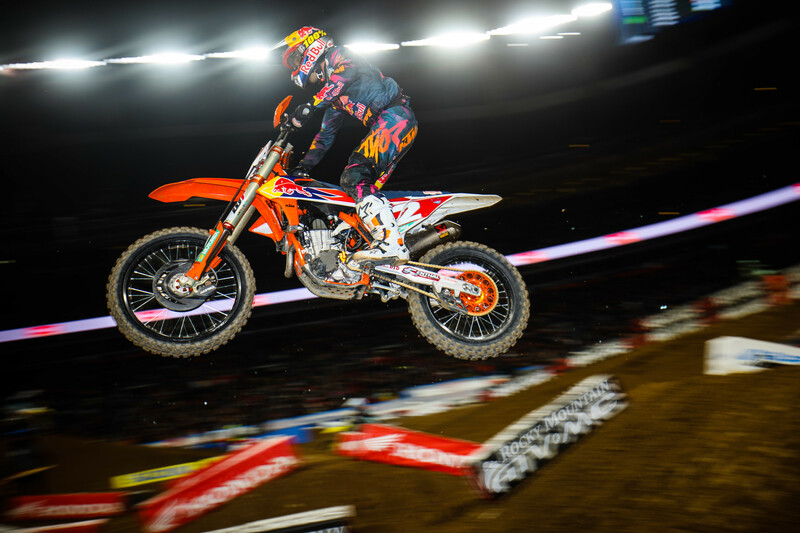 Points through 15 rounds for 2018 Monster Energy AMA Supercross Champion Jason Anderson. Points for Webb through 15 rounds in 2019. 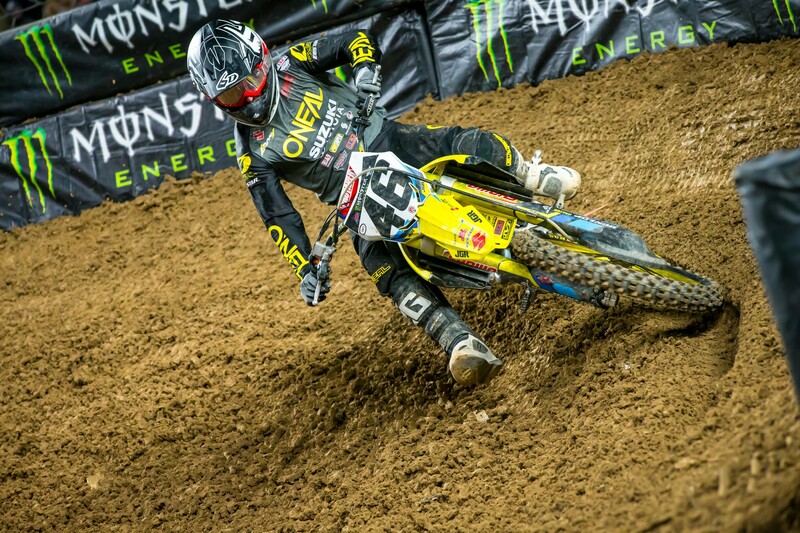 Place finish in Denver for Justin Bogle, matching a 450SX career-high set in San Diego earlier this year. Place finish for Josh Grant in the 450SX main event, his first top 10 since returning to fill-in for Aaron Plessinger. Place finish in 450SX for Justin Hill, just his second top 10 finish this season. Wins for Monster Energy/Pro Circuit Kawasaki's Adam Cianciarulo. Laps led in the 250SX West Region main event by Rockstar Energy Husqvarna's Michael Mosiman. Different riders that have made at least one main event in 250SX West Region after Blaine Silveria and Johnny Garcia made their first mains of the year in Denver. Place finish for Dylan Merriam in 250SX, his first career top 10 finish.